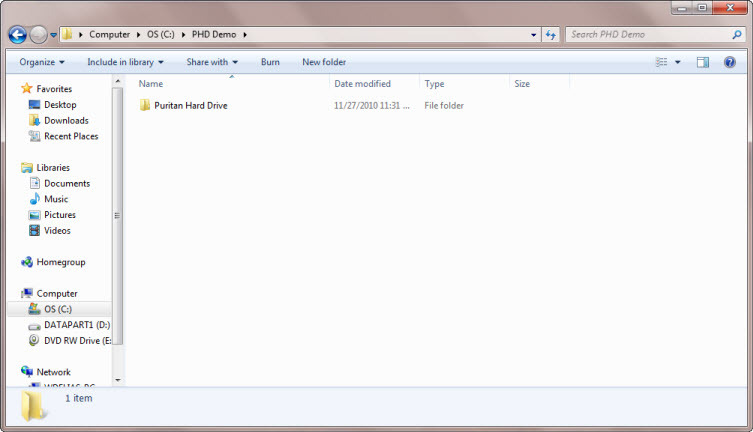 This demonstration version contains all the content and search functionality of the unrestricted version available only on the Puritan Hard Drive. This unrestricted version of the KnowledgeBase Application provides the user with immediate access to the more than 12,500 PDF (books and other text resources), MP3 (audio) and WMV (video) Resources contained in the full Puritan Hard Drive collection. In that version, you can create thousands of Saved Search Results Sets and Saved Search Results Sets Lists, limited only by the available free space on the internal drive or external USB drive where the application resides. This also applies to the Favorites List. Please do not attempt this download unless your internet connection is at least 750 Kbps. You can order a copy of both versions of the software on a DVD by clicking here. To quickly learn how to make the best use the free Puritan Hard Drive demo software, please watch the tutorial videos at " ALL PURITAN HARD DRIVE VIDEOS ". Depending on your particular web browser, a window, similar to the one below, will pop-up asking you whether you want to save the file to your computer. Depending on how you've configured your web browser to save downloaded files, you may be presented with a Windows Explorer dialog box to select the download storage location, or, the download may begin immediately. 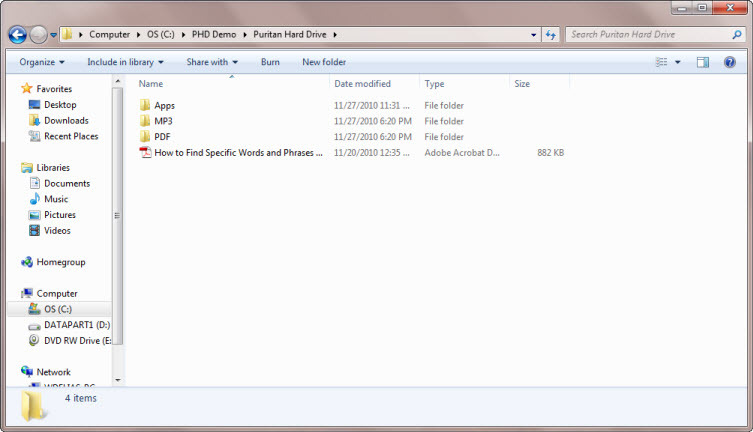 In either case, once the file has been saved to your hard disk, double-click on the file in Windows Explorer. 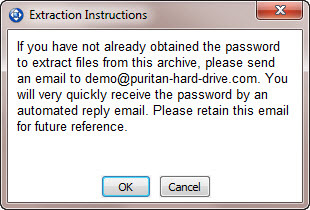 This password is easily obtained by sending an email to demo@puritan-hard-drive.com . Click here to launch your default email client. The email will be filled in with all the necessary information. 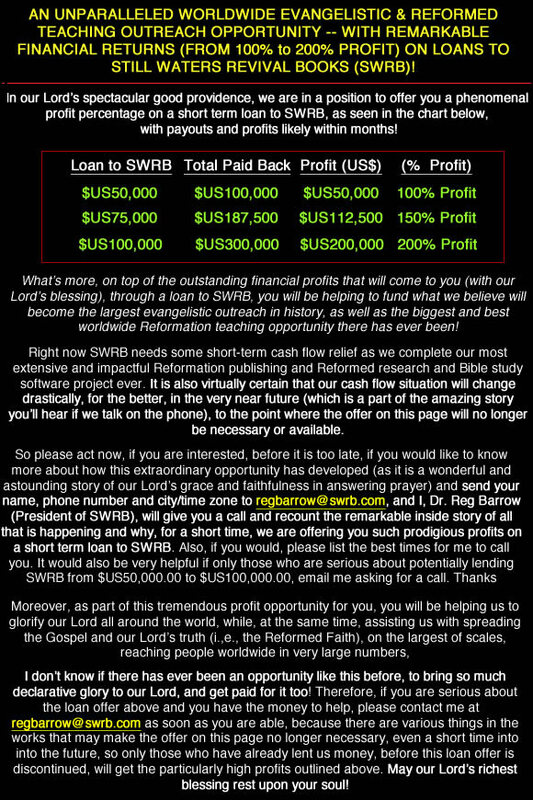 Simply click on the Send button in your email client. In a few moments, you will receive an email with the unlocking password, which you can copy & paste into the password box or enter it directly. 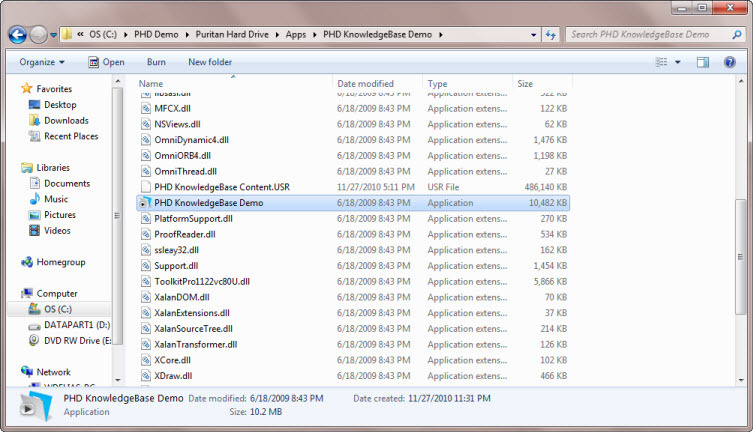 Double-click on the application file "PHD KnowledgeBase Demo.exe". In about 30 seconds or so (depending on your computer's performance), the program will open. Depending on how you've configured your web browser to save downloaded files, you may be presented with a Finder dialog box to select the download storage location, or, the download may begin immediately. In order to extract the files from the downloaded archive, you will need to have pre-installed the latest version of Stuffit (Standard, Deluxe) or the free Stuffit Expander (2011, Version 15.0.1+). The latter can be downloaded without charge by clicking here. 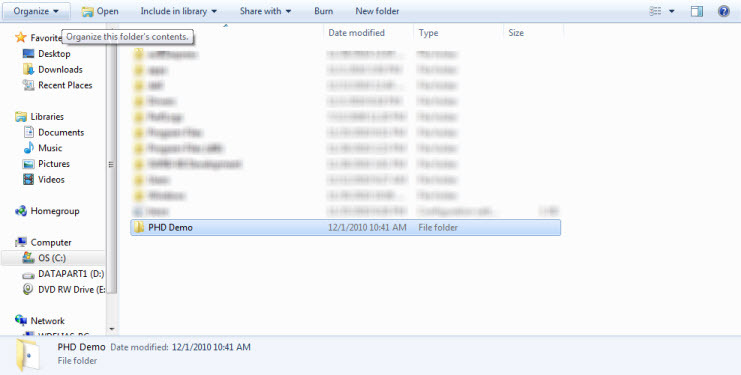 (Earlier versions of Stuffit Expander will NOT be able to extract the demo files successfully. You will receive an error message that the archived file is corrupted.) The remainder of these instructions will assume you are using the free Stuffit Expander. After the password is successfully entered, the files will be extracted. A bar in the Stuffit window will display the progress of the extraction process, which depending on your computer's performance could take up to 10 minutes or so. 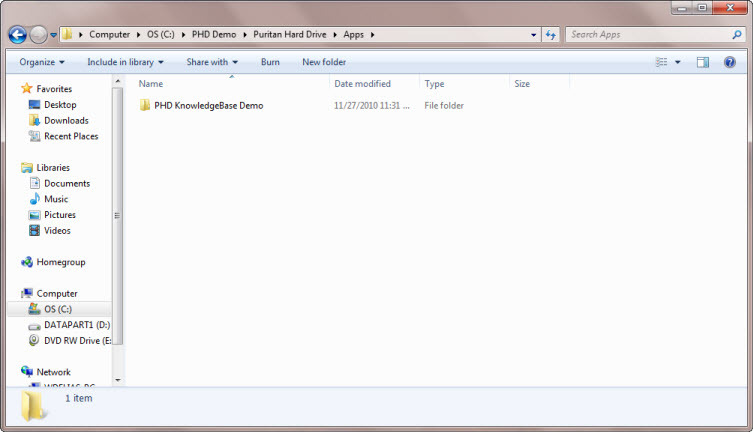 Double-click on the application file, "PHD KnowledgeBase Demo.app". In approximately 30 seconds (depending on your computer's performance), the program will open.